Snowed in - Drawin' Girlies. 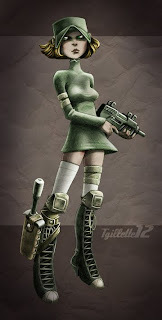 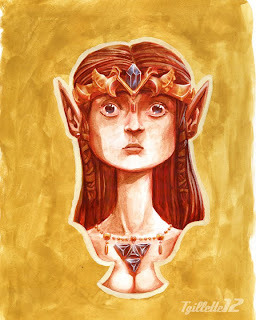 Pencil colored via Photoshop. 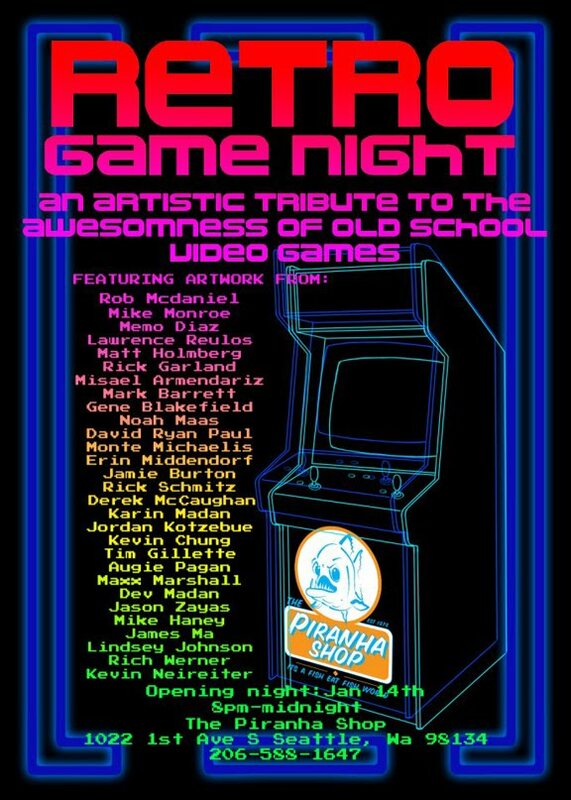 Retro Game Night art show at the Piranha Shop!! Lotta awesome talented there. This is what I submitted. 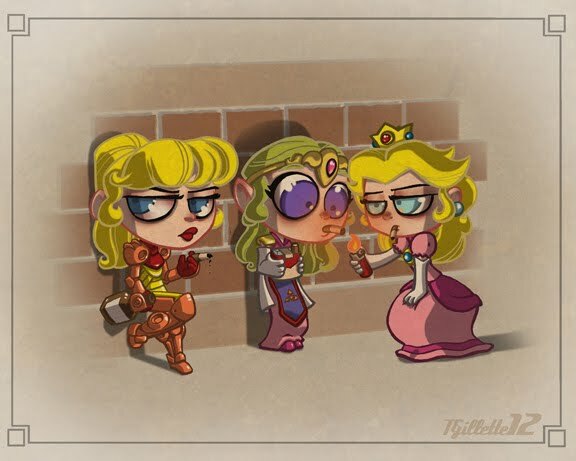 "Princess Party" & "Zelda"
Meant to post this a long time ago. 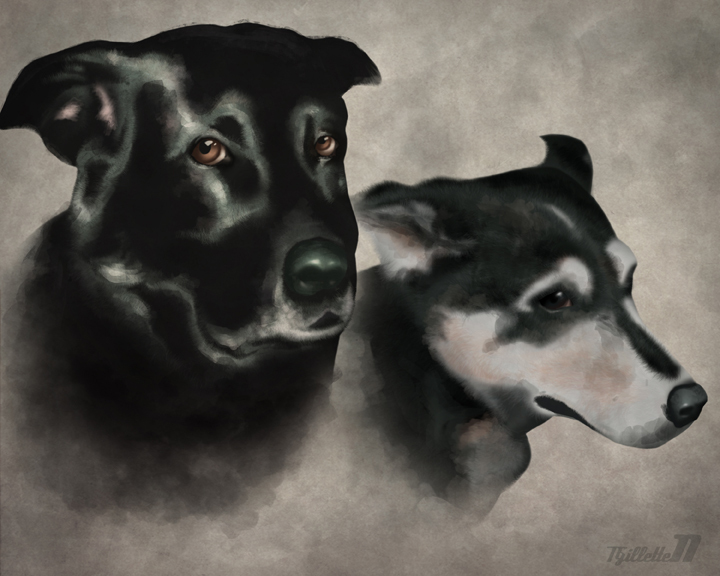 Commission of my good friend's dogs (Duke & Nadia).